Can you believe that we are already half way through the summer holidays? If your kids are anything like mine, three days in the kids were already bored, one week in, they could barely spend ten minutes in the same room as each other without one looking at the other funny, or someone ‘accidentally’ elbowing someone else in the head. Right? By now you are probably wishing you could run and hide every time some someone yells “Maaaaaaaaaaaammmmmyyyyyy….”! 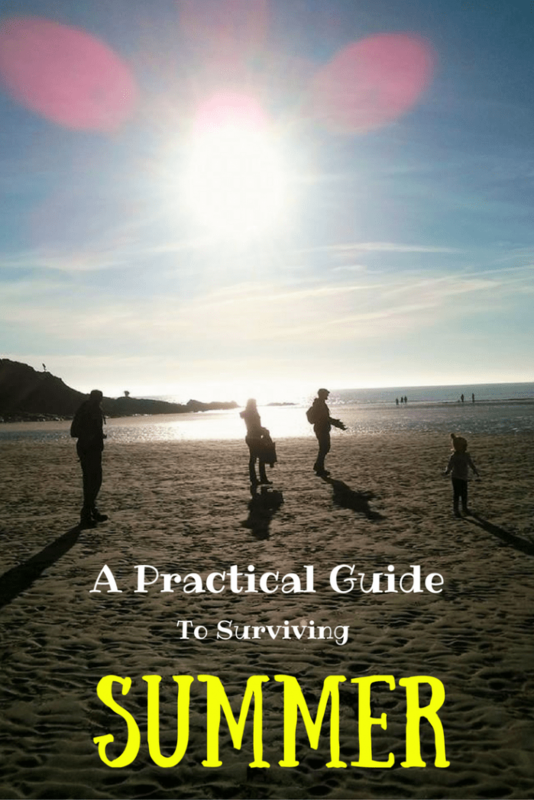 So after surviving the 13 summer holidays since my kids started school I thought I would share some “practical” tips to help you keep your sanity during these seemingly never ending days! Okay, none of these ideas are profound. But when your brain has had small children singing nonstop rounds of ‘Let it Go’ or asking ‘wotcha doin?’ 17 times a minute for a week, you need simple and quick ideas!